I had to manually edit all but one of them (Potrero de los Funes Circuit was OK). Please open the info boxes for each item and visit the first link under "You found this KMZ set". You will want to redownload them. I plan to get around this problem by hosting all future maps that have none-ASCII characters here until I get confirmation that Google has fixed this bug. This is one of the shortest tracks I have done a map of. It is under a mile long. In fact, it might be the shortest yet other than variants of other maps. You can get the SVG here. Two configurations. Two overlays. Lots of data for each including placemarks for each turn. You can get the KMZ here. This time, I updated the KMZ. It now has lengths and the new maps as overlays. The old set also had links to the blogspot blog that is long gone. Instead, it now has a link to this post. You can get the KMZ here. Mostly, I just used the new overlays. However, I also went through and made all paths and polygons thicker to make them easier to see. I also verified the location of everything. You can get the updated KMZ set here. 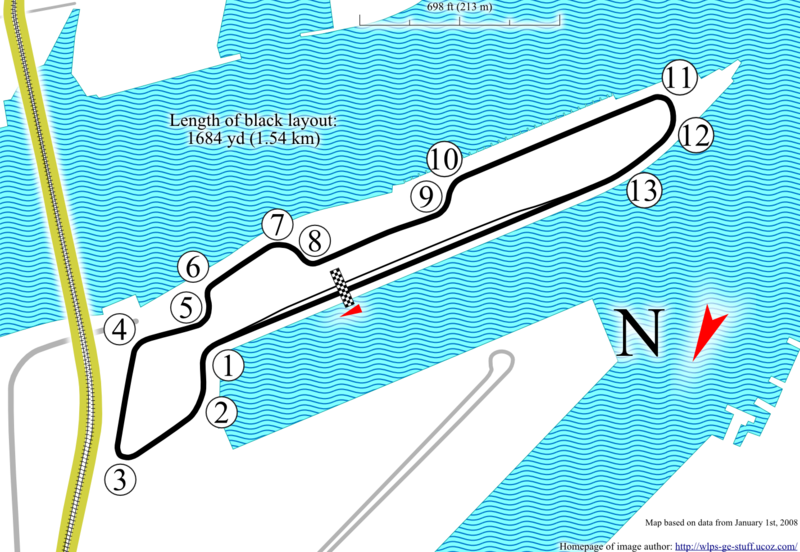 Those that have been with me long enough know that one of the first tracks I did was Bahrain International Circuit. But it recently came to light that I didn't have any overlays or maps for it. Now I have not one, but six of them. In fact, it now has folders for each layout, each with turns, an overlay, and a polygon for the track. You can download the new set here.